https://anz.pg.com/en-AU Here is their website for a little more info on them 🙂 You may be familiar with these products in this image below. Training corporate groups are so rewarding for us. Not only do they make all employee’s fit. But fit employees = happy & healthy employees. It’s great bringing people from the company together from different departments and bonding through something fun & healthy! Thanks for a great few weeks team – hope to see you all again soon! Rise Nation is LA’s hottest fitness class and it’s landed in Australia! Rise Nation is a 30-minute high-intensity interval training (HIIT) workout developed by training and movement expert, Jason Walsh. Successfully launched in West Hollywood, in the heart of Los Angeles, this total body workout has expanded to studios in Dallas, Cleveland, Miami and now to Australia. 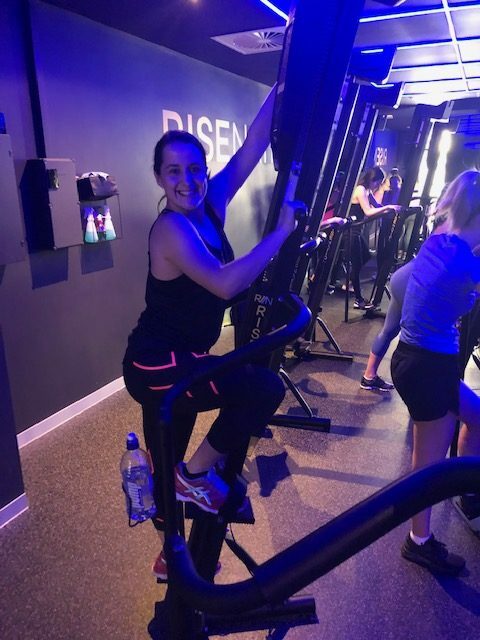 Used by stars like LeBron James, Jennifer Aniston, Ashley Green, and Hilary Duff, Rise Nation has the best workout classes the market has to offer, utilizing the VersaClimber machine (a cardio machine that simulates vertical climbing) for a serious sweat. Unlike your ordinary gym, Rise Nation provides not just a full body workout in a short amount of time, but also a community of climbers, committed to fitness. 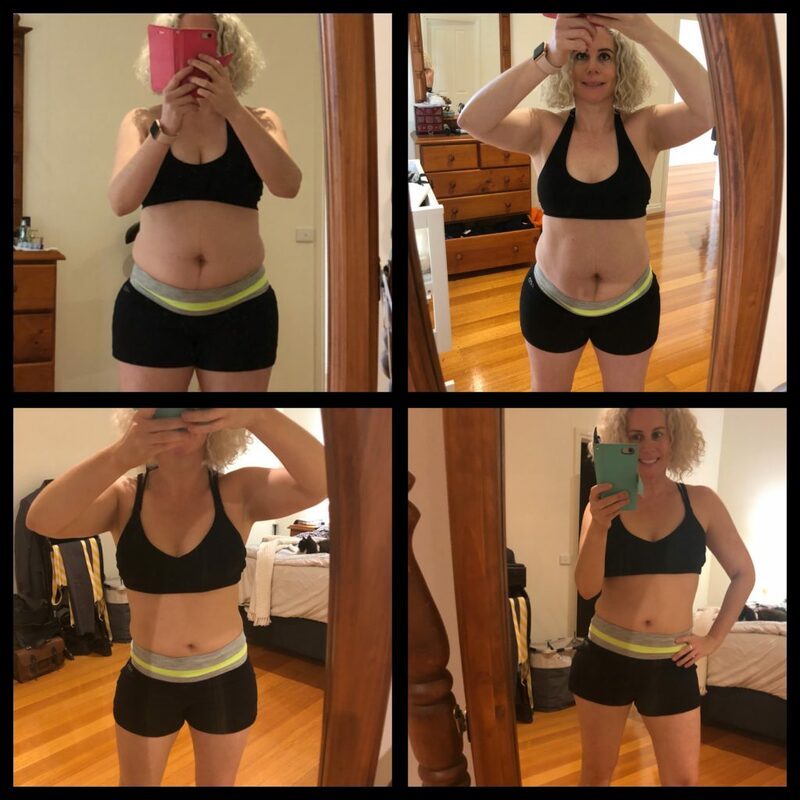 It was an awesome 30 min sweat sesh – Caroline, Erin, Tobias, Chloe and I went and did a session together and boy did we sweat up a storm! It’s very popular on IG + all over the web and lots of celebs have tried it out! We wanted to try it out because it was a different way of moving that we were used to. The climbing aspect of the workout was in an upright position, great for spinal alignment, a balanced physique and neuromuscular coordination. Great for fitness and cardio, activated all the muscle groups simultaneously. It is the last week of Term 1 this week for our student clients at Huntingtower. It’s been a great start to 2019. 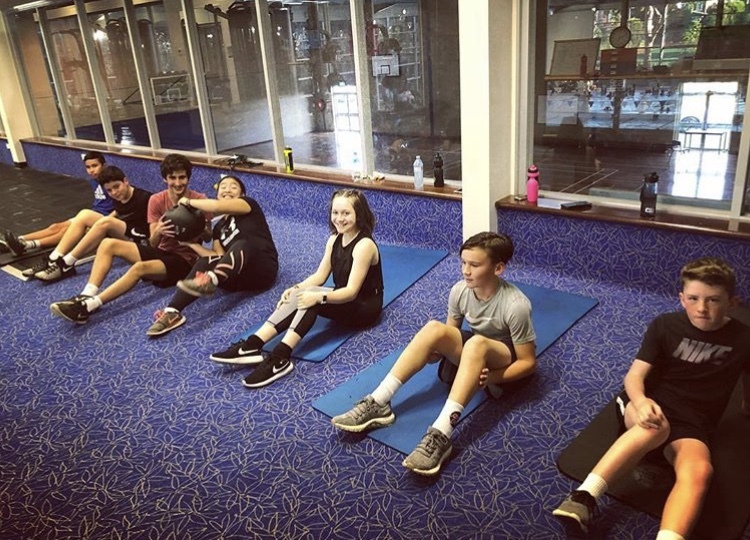 Some highlights of the term were that my new Thursday Swim squad members entered their first year of highschool and have gotten into the groove of new classes & timetables and have gathered a great team together for our after school class. Also a massive shoutout the “Fun & Fitness” guys and girls who completed their Triathlon last week. Congratulations to the year 9’s who finished their Triathlon last Thusday. Well done to you all for training super hard leading up to the day, you should be very proud of yourselves! Aran, Seth, Nicki, An and Riley your attendance and efforts don’t go unnoticed. Great work! It’s fair to say the schedules of the students at Huntingtower are jam packed. Not to mention their sporting + family commitments and also ensuring they are getting to their afterschool RIM sessions! An active student = a healthy and happy student. So keep up the efforts and just because school holidays are around the corner does not mean training stops 😉 Holiday program will be running next Monday, Wednesday & Friday at 10:30am from the HSAC gym. If you are keen on this, message us today! Have a great Easter break HT Students and parents and we look forward to kicking more goals in term 2! 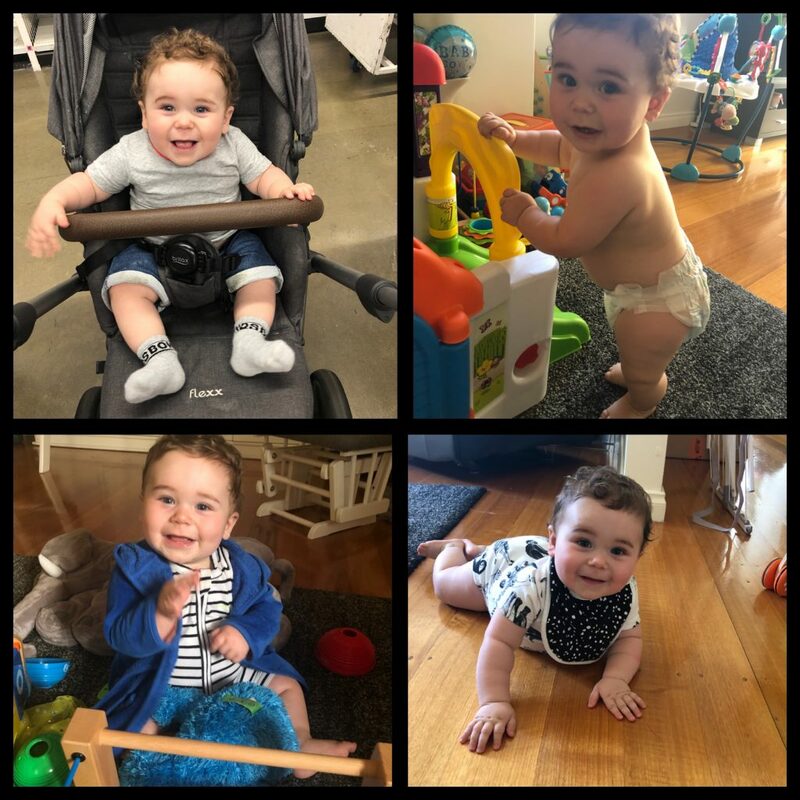 For all the Mums carrying bubs out there – this one is for you! A workout may be the last thing on your mind – but your body will thank you for it. Try this simple at home workout. Listen to your body, take breaks after each set and have water with you. Aim for 3 rounds – enjoy! 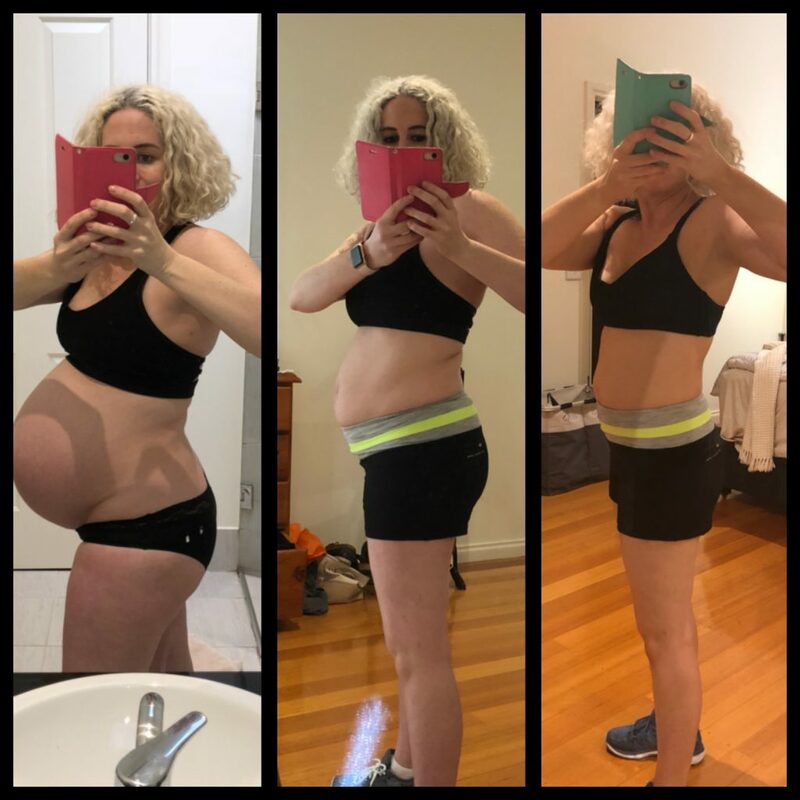 When it comes to exercise and pregnancy, there are a lot of Mums out there who may get a little concerned about their health and their babies health. The truth is, is that you are most definitely allowed to continue training whilst you are pregnant. 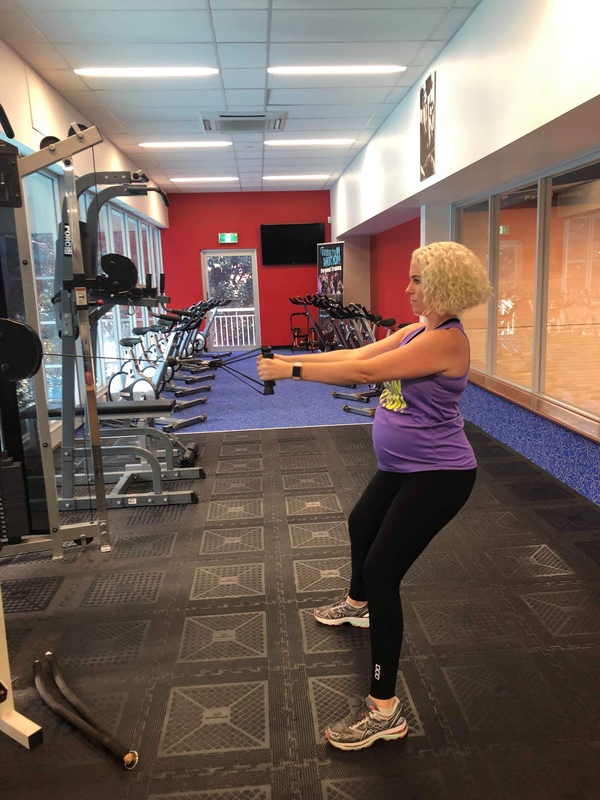 If before becoming pregnant, you were leading an active lifestyle and hitting the gym 3-4 times a week, there is proven evidence that continuing on with your workout routine is beneficial to you and your baby. There is a chance that going complete cold turkey could even be worse for your health. There are lots of articles and old- school myths out there, and you shouldn’t believe everything you read! Not only does training when you’re pregnant help with yours and your babies health, it also plays a major role in helping with your mental health – and that is SO important. As human beings we should realise how important it is to understand that the road to success, no matter what the goal, is a rocky and sometimes tough one. There will be bumps, obstacles, and tripping over once or 100 times, but as long as you never stop MOVING FORWARD, you’re making progress and things will always turn around. You may not see results day, week to week, or even month to month, but with persistence and perseverance – progress is inevitable. Consistency isn’t pretty, consistency isn’t exciting and consistency sure as heck isn’t easy. But consistency is what get results. Exercise is a great example of why consistency beats intensity. So say it’s your first session back after having few months off, you head into a HIIT session and put yourself through the most intense workout you’ve ever endured. You gave it 110% and you’re exhausted. But getting home, you take your shirt off and nothing, you look exactly the same as before your workout. So you decide to stick with it and do it all again the next day and again no signs of any progress. By repeating this process for a few weeks surely you’d be able to see some results? No. Maybe you think to yourself exercise must not work for you (although deep down you know it does). What is wrong with this logic? Exercise, like most things in life takes TIME and CONSISTENCY to reap rewards. So take these 2 points and apply it to all areas of life, not just the gym. 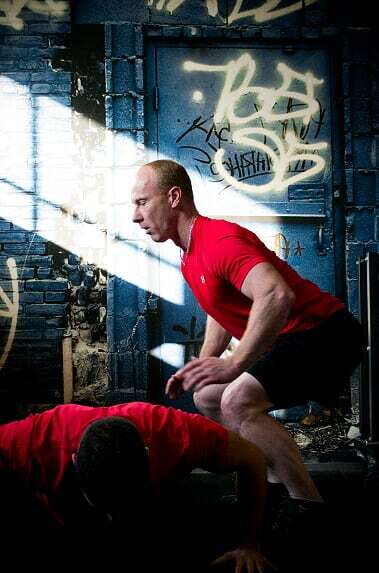 Intensity isn’t the answer. It’s consistency that gets us to where we want to be, whether it is in the gym, in the workplace, in school and anywhere else in life. Don’t give up when you don’t see progress. Change takes time and its imperative that you have faith, stay the course and keep grinding. “It’s not about intensity, it’s about consistency…. If all you do is go to the dentist twice a year, your teeth will fall out. You have to brush your teeth twice a day for 2 minutes….” – Simon Sinek. Bad days don’t define us. It’s what we do in response to those days. What defines us is what we do day-in and day-out. It’s our action over time. It’s definitely easier said than done, so here are some helpful tips for shaking off a bad day. Growth, change and results take time. Understanding this can help put a bad day into perspective . We are defined over the course of an entire lifetime. Don’t let a few bad days, weeks or months hold you down. Believe in what you’re doing. If you truly believe that what you’re striving for is worth while – COMMIT YOURSELF AND STAY THE COURSE. Always trust the process. We really only have control over 2 things in life: Attitude and effort. Wake up each morning knowing that you get to make a conscious decision about your attitude and effort. Choose to have a good day. Choose to see the best in people. Choose to run the day and give your absolute best effort to everything you do. Use your support system. Asking for help is OK. There is no issue too big or too small, have no shame and don’t feel like you are along because you’re not. Consistency is comforting – people who are consistent are dependable and people like that. Beneath the surface, it becomes obvious that being consistent encompasses host of other admirable traits such as effort, commitment, dedication, accountability and perseverance just to name a few. This will not only earn you results but it will also earn you trust and respect. Being consistent is effective, admirable and as about straightforward as it gets as long as you’re willing to put in the work. “Let me tell you something you already know. The world ain’t all sunshine and rainbows. It’s a very mean and nasty place and I don’t care how tough you are it will beat you to your knees and keep you there permanently if you let it. You, me, or nobody is gonna hit as hard as life. But it ain’t about how hard ya hit. It’s about how hard you can get hit and keep moving forward. How much you can take and keep moving forward. 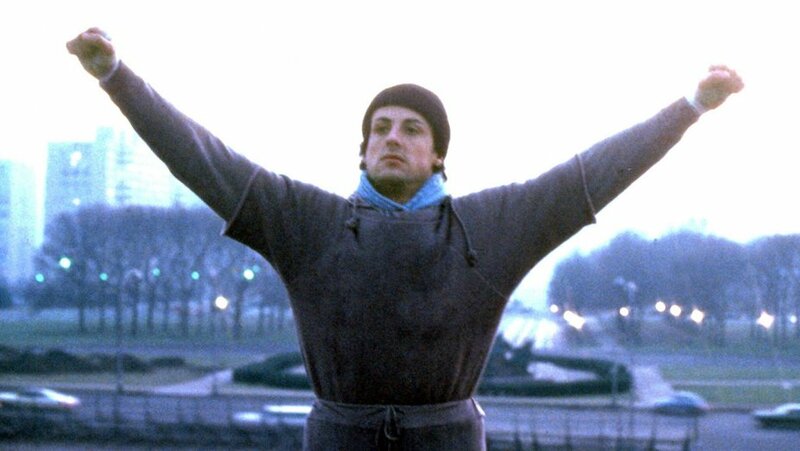 That’s how winning is done!” – Sylvester Stallone, Rocky Balboa. Bloating is so common, and it can be an embarrassing thing to talk about and you may wonder what can reduce bloating. There are a few different causes of bloating with means that some remedies can be more effective than others. In this blog we’re going to give you some simple tips you can make to help banish bloat! Sleep. Getting a good amount of sleep (8 is great) can help normal bowel movement. Sleep can also reduce your stress levels, which can also upset the balance on your gut. Staying Hydrated. When your body is not hydrated, it will hold on to the water it does have (this is known as water retention), which is similar to bloating. Make sure you get plenty of fluids to help hydrate your bodys cells but also because water can aid digestion. Get Moving. When you’re bloated, get active. This keeps fluid moving through your body and can also gases further through your system, helping to stop bloating. Eat Fermented Foods. Kimchi, miso and sauerkraut are fermented foods which contain probiotics. These foods can help balance the bacteria in your gut, releasing enzymes which break down food and make it easier to pass waste through. This is a body weight workout which means you will not need equipment, or a gym. 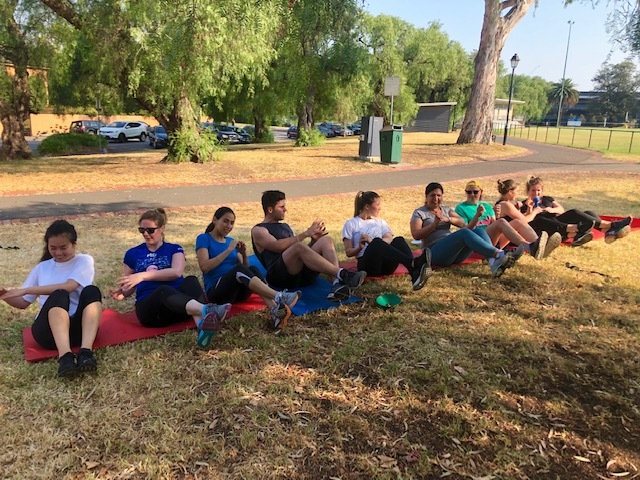 Find yourself a nice park or outdoor area to complete the workout. There is no right or wrong time to get this completed by, and your only competition is YOU! Let us know how you go and make sure to record your time down!